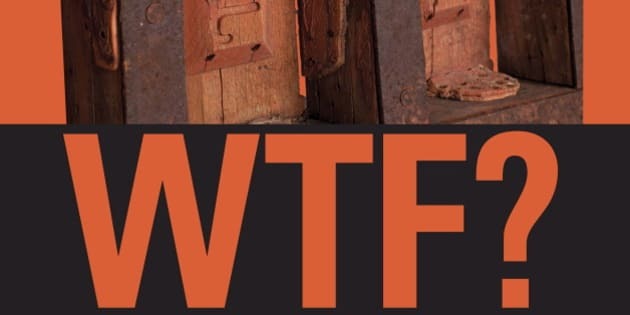 TORONTO - Massive posters marked with the letters "WTF?" are cropping up across Toronto in an effort to get young people thinking and talking about the city's historical sites. Above the letters are close-up images of various artifacts from the city's collection, which people are meant to identify as part of a contest linked to the campaign. Officials say the acronym stands for "What The Fact" rather than the more common crude meaning. The irreverent campaign features up to eight different artifacts, with posters plastered on more than 100 transit shelters. It launched last week and stretches until Sept. 10, when the answers will be revealed. The city will then also pick a contest winner, who will take home two passes to any city museum. "We wanted to engage youth... and we thought a good way of doing that was really to grab their attention," said Ilena Aldini-Messina of the city's museum services. The tongue-in-cheek design has generated a bit of a buzz, with most people calling it cheeky and fun, she said. "Like any campaign, there's people that like it and people that don't like it — that's part of any campaign that you put out to the general public."